You could save thousands of pounds selling your home online with Capsel Homes. It’s refreshingly simple. 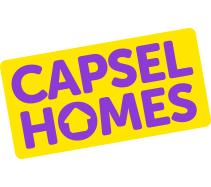 Capsel Homes is a new estate agency with a twist. We combine the benefits of modern, online estate agents with great Welsh customer service to help you sell your home, your way. Take control, get your home seen in all the right places, and sell online with Capsel Homes for just £275. It’s easy to add any extras you need a bit of help with, such as photography, floor plans, accompanied viewings or an Energy Performance Certificate. Sign up with Capsel Homes and your property will be automatically listed on Rightmove – the largest property portal in the UK. Our experienced and knowledgeable team are always on hand to provide support and answer any questions you may have along the way. We will contact you to arrange a property inspection within three days of receiving your application. When we visit we will check the information you have provided and provide you with a valuation of your property. We will also need to check that you are the owner and have the right to sell the property. If you are with another estate agents we would advise you to check the type of contract you have as your agent may charge duel or multi agency fees. We will provide you with advice and support during your application and are here to help you sell your property. You have the right to cancel with us up to 14 days following your registration, just contact us for a full refund. Terms and conditions apply. How to sell online guides. No one knows your home better than you. And selling your home online has never been easier. Have a read through some of our guides to find out how it all works.